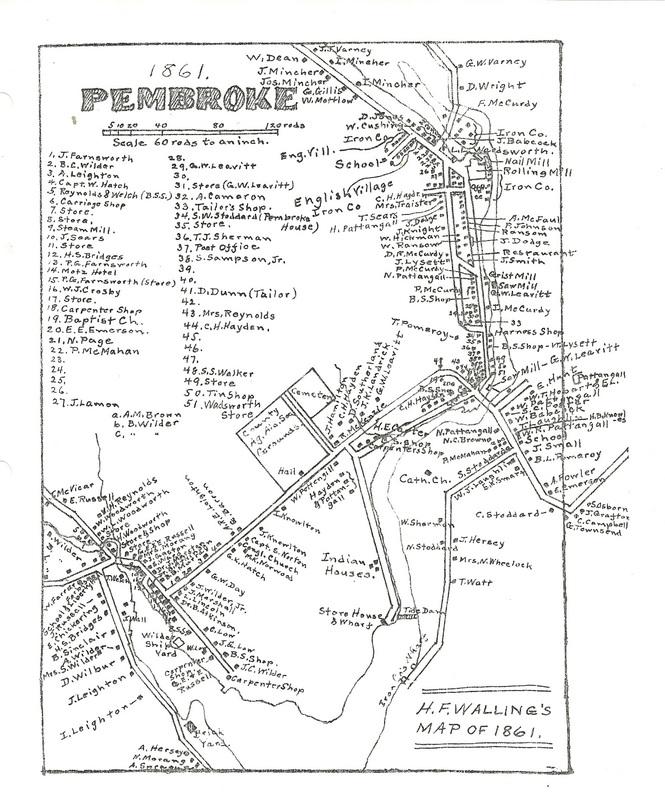 This 1861 H. F. Walling map was included with the journals of Sydney Wilder and Gerald Wilder on their research of the genealogy of the Pembroke, Maine, area, and may be their work. 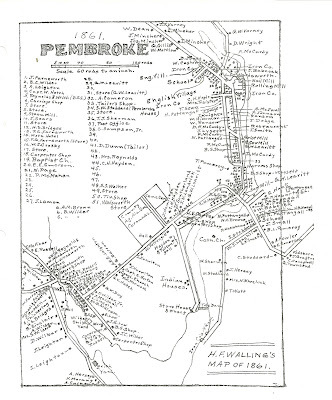 For more information on some of the names listed above, see the Maine and Maritime Canada Genealogy network. You may find images of photographs, documents and family trees there.